Theresa's Haunted History of the Tri-State: What is the Paranormal Lecture Series? Hey, everyone! I hope your first few days of 2016 have been good ones! I've been having a great time thinking about and planning some new, fun activities for the blog and for my Facebook page. One of those things is the Paranormal Lecture Series. If you follow Theresa's Haunted History on Facebook, you've probably already seen the first three days' worth of postings...and may have wondered what the heck was up with that. So, what IS the Paranormal Lecture Series? Each day at 2 pm, I will post a video of a different lecture, talk, or conference panel to Facebook. These videos will feature speakers from a variety of paranormal disciplines and from a variety of viewpoints. Some speakers will be well known, while others might be a little more obscure. Topics will range from ghosts and hauntings, to cryptozoology, to ufology, to demonology...and everything in between. 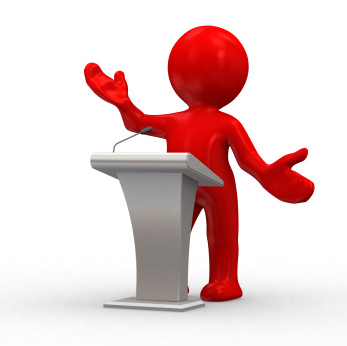 Following the lectures, I'll post a few links, facts, or other tidbits relating to the topic of the lecture or the speaker himself. The inspiration for the daily Lecture Series actually came from a question posed by my favorite group, Ghosts Magnets with a Twist. Awhile back, they asked readers to comment on who in the paranormal community they would actually like to go see give a talk. I found this question especially interesting because each year, I make it part of my paranormal New Year's Resolutions to increase my knowledge and understanding of the field by attending as many lectures and educational events as possible. But, for me and many others, going to a ton of events really isn't feasible. It often takes time and money, especially when you live in an area where there aren't too many events within a day's drive. Also, there are so many great speakers out there, that it's just impossible to really get out and see them all. It is especially frustrating that some of those speakers just simply no longer tour or give lectures. And that's where the idea for the lecture series began. I wanted to share with everyone out there the opportunity to be exposed to some great speakers and some great lectures without ever having to leave home. Nothing is better than attending a live event and getting to interact with the speaker and fellow attendees, but these free videos are the next best thing! I hope you enjoy this month's special feature...please check out my Facebook page for a new lecture EVERY DAY for the rest of January.